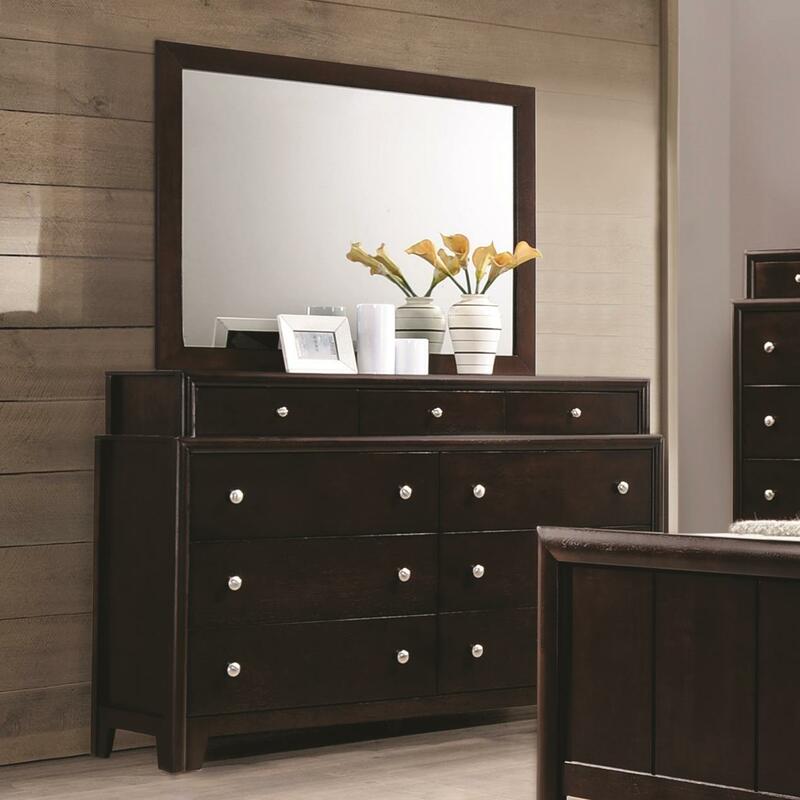 This dresser and mirror set adds a transitional flair to your bedroom. 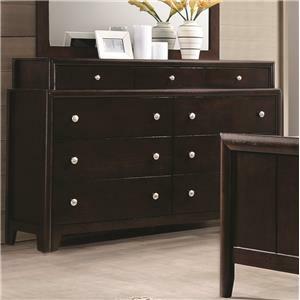 Crafted from Asian and Tropical hardwoods with an Okume and Agathis a veneer, the dresser features nine English dovetail drawers with Kenlin center glides and nickel-finished drawer knobs. 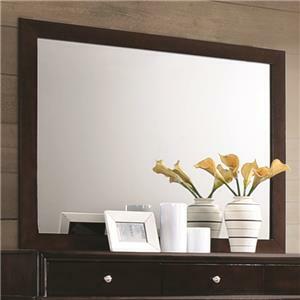 The accompanying mirror showcases a matching frame completed with the Dark Merlot finish. 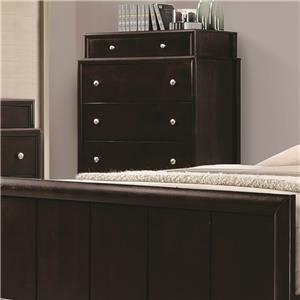 With three top felt-lined drawers in a tiered slacking drawer design, this set will accommodate your home bedroom needs. 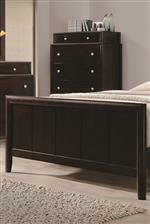 The Madison Dresser with Nine Dovetail Drawers and Mirror with Wood Frame by Coaster at Value City Furniture in the New Jersey, NJ, Staten Island, Hoboken area. Product availability may vary. Contact us for the most current availability on this product. Handles & Hardware Round drawer knobs with Nickel finish. Mirror Frame crafted from Asian and Tropical hardwood with an Okume and Agathis veneer. Completed with a Dark Merlot finish. Storage Nine English dovetail drawers with Kenlin center glides. Top three drawers are felt-lined. Drawer / Shelf Construction English dovetail drawers. Top drawers are felt-lined. Drawer Suspension Kenlin center drawer glides. Case Construction Tropical and Asian hardwoods with an Okume and Agathis veneer. 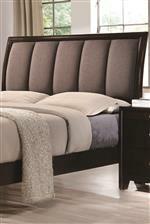 The Madison collections highlights transitional bedroom furnishings for the modern home. 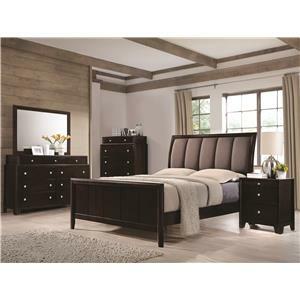 Accommodating and stylish, the pieces feature English dovetail drawers with Kenlin center glides, nickel-finished drawer knobs, an upholstered headboard and detailed footboard, as well as felt-lined drawers. 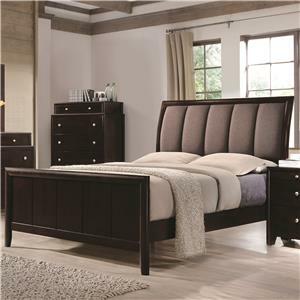 Crafted from various woods and veneers and completed with a Dark Merlot finish, the Madison collection allows you to transform your bedroom with transitional style and exceptional function. The Madison collection is a great option if you are looking for Transitional furniture in the New Jersey, NJ, Staten Island, Hoboken area. 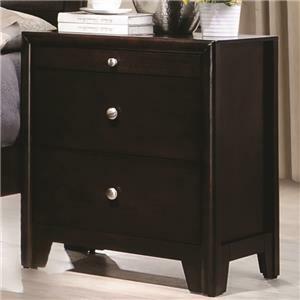 Browse other items in the Madison collection from Value City Furniture in the New Jersey, NJ, Staten Island, Hoboken area.